While injuries are often unpredictable and random, New York Giants star receiver Odell Beckham Jr. has managed to pick up a few throughout the first few years of his illustrious career. From a hamstring ailment in his rookie season to a broken ankle in 2017, the wideout must reach his true potential in 2019. Having only one season under 1,000 receiving yards is quite impressive, especially when you consider the fact that he’s only played a full season once in his professional career. Will the Giants stick with their trusty steed at QB? And how does it affect OBJ? The likelihood of Eli Manning remaining at quarterback for the Giants is good as we trek through the cold months of the offseason, and Beckham will likely be happy with that. Changing quarterbacks is exciting, but the chemistry and timing that Manning and the star receiver have developed will be whisked away with one simple change. Now, it’s probable that the Giants draft a signal caller to learn behind their veteran leader for at least one season, and it will give him time to curate a relationship with Beckham, an essential part to the success of the offense. But, Beckham must leave his injuries behind and ensure he puts his best foot forward in the years ahead. 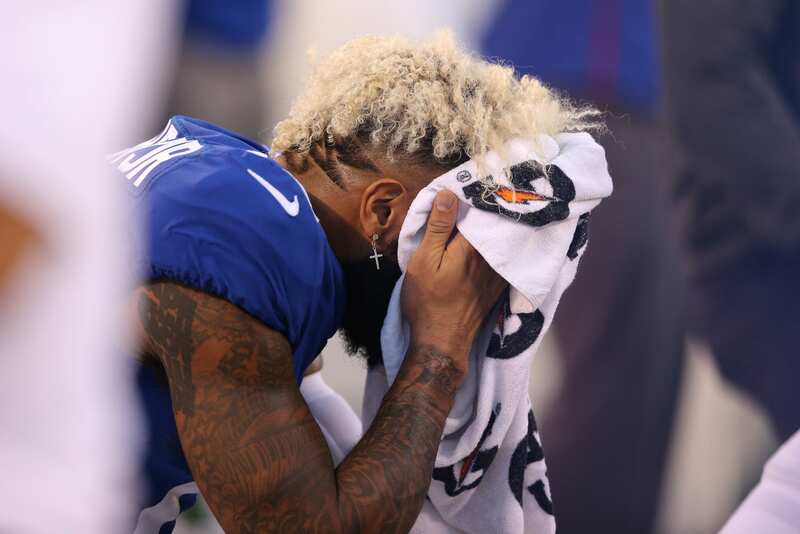 Odell stated that he didn’t feel 100% last season, mainly due to the mental stress of trusting the healed ankle and feeling comfortable going full-speed. Those concerns must be eliminated if he wishes to perform at the top of his game. An offense consisting of Manning, Beckham, Saquon Barkley, Sterling Shepard, and an improved offensive line SHOULD rank in the top 10 in the league. The offensive line portion of that statement is undeniably a significant factor, as Manning isn’t able to escape the pocket and make throws on the run as he once did. A lot of the deficiencies on the offense are directly linked to Manning’s body-guards, and ensuring the unit is allocated the proper resources is essential to the efficiency of the quarterback and his weapons. Beckham will play better if Manning plays better, that’s a fact we can all agree on. Regardless of the O-line play, Beckham must overcome his fear of injury and play loose and calm. That will allow him to reach his full potential, but other factors surely play a part in his effectiveness on the football field.